Food+City is an initiative of the startup metropolis Austin, Texas which is committed to the supply of city dwellers with fresh, healthy foods. When the best ideas are presented in an international competition on this subject, a Hamburg startup is also under the spotlight: Nüwiel. How it happened and with which invention the young team proved themselves convincing, this is what you will find out in a new contribution of our series Spot on: Food & Health. A single person without a car can do pretty much in a city like Hamburg. A father of three might be slightly more restricted. Carrying the kids in a bicycle trailer behind can be quite exhausting. 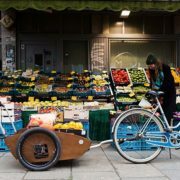 An electrically powered trailer could help, which adapts to external conditions and greatly facilitates pedaling on the bike. This idea was presented by Sandro Rabbiosi at a workshop, to the Startup Dock organized by the TU Harburg two years ago. There, the production engineer and father of three called on two colleagues who wanted to work on the project with him: Fahad Khan, an engineer who had worked on the development of autonomous aircrafts. And Natalia Tomiyama, organiser of the workshop and member of the Startup Dock from the very beginning. The marketing expert suggested that the project is not limited to parents with young children as a target group, but also to be used as a small carrier in an urban environment. 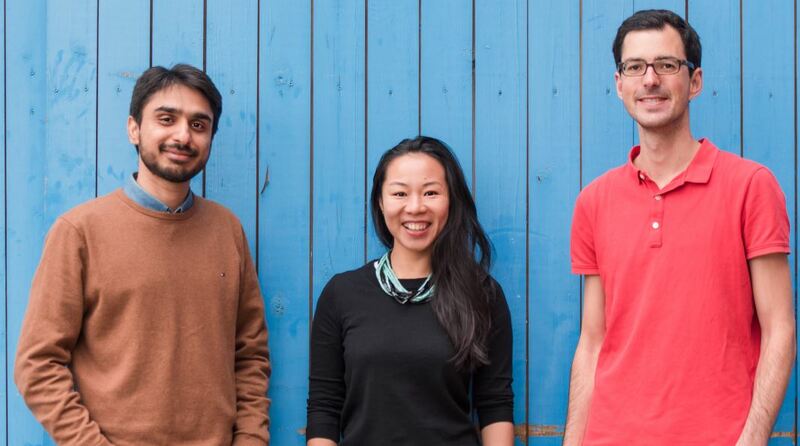 Then the three of them quickly agreed to work together, and the Startup Nüwiel was born. 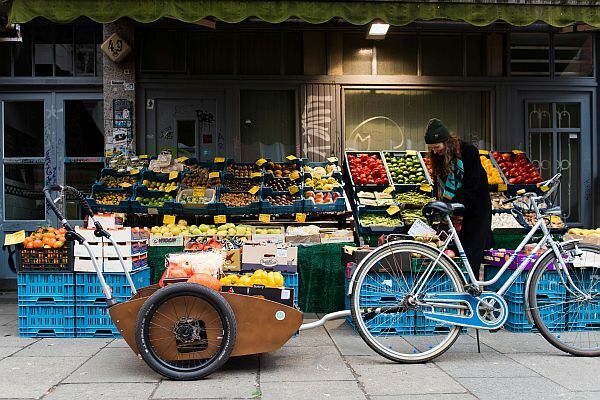 The trailer of Nüwiel can be easily hooked to any standard bicycle. Sensors measure whether it is going uphill or downhill and what weight the trailer is carrying. The electric motor accelerates or slows down accordingly. This is ensured by a triple hedged braking system that works even with an empty battery. The batteries can be charged at normal outlets or by trampling diligently on the bike. If everything works, you do not even feel the weight of the trailer, which currently can load up to 120 kg, and you even get the feeling of getting a small boost, even if it’s not for real. 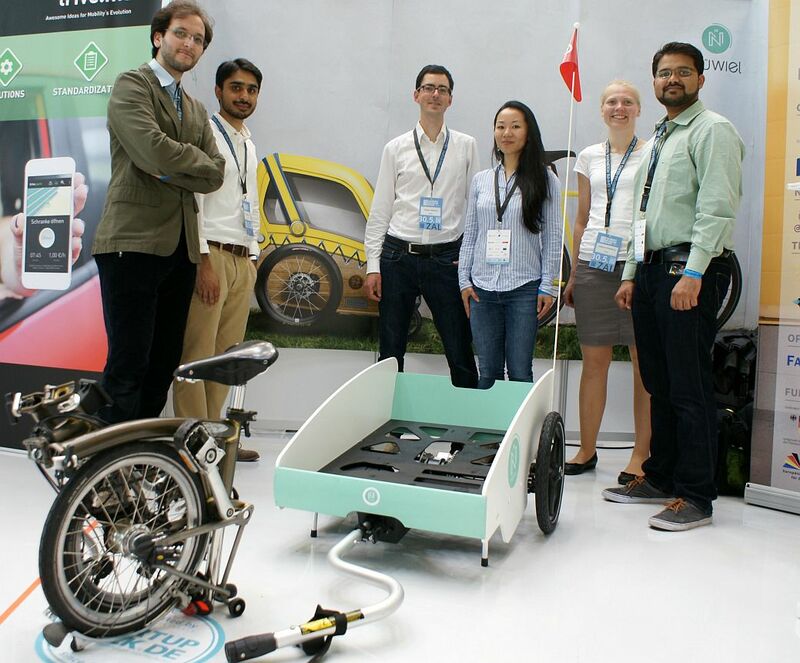 At the Innovation Summit in May 2016 Nüwiel made its first appearance in public. Nüwiel is located at TU Harburg and receives constant support there. In addition, the startup was able to convince a number of investors. EXIST, InnorampUp and Climate-KIC invested a lot of money and expertise in Nüwiel. Finding private investors turned out to be trickier. Perhaps this will change soon, thanks to the Food+City Challenge in Austin. It’s not just about $ 50,000 cash prize, there will also be a lot of investors attending the event.The 18 finalists present themselves first on a small fair, the best ones can pitch to win the big prize. The competition is open to all startups that improve the food supply in major cities – with new products, technologies, or distribution channels Dominated by American companies in the number of participants, Nüwiel is the only candidate from Europe this year! Nüwiel came up with the idea to apply thanks to the Blind Dates at the Startups@Reeperbahn events in September, organised by Hamburg Startups. We are very proud that Nüwiel made it to the final of the Food+City Challenge. We keep our fingers crossed! Whatever the outcome of the competition, Nüwiel is definitely progressing rapidly. First prototype tests came back successful. The components for the trailer are to be imported and assembled in Hamburg, the patent protection has been secured. The team of now ten people sees as potential customers companies that cannot deliver efficiently in major cities. They must not necessary be related to the food industry, however the need for fresh and fast delivery is crucial. As potential markets, Nüwiel has initially targeted countries with a strong bike affinity in Western and Northern Europe. They also had requests from Austria. Of course, the US is a target, perhaps even sooner than originally imagined. Then Asia, with its megacities and the widespread use of bicycles, it actually seems predestined for electrically driven trailers. The original target group, parents with children, has not been forgotten either. During the year, there should be a crowdfunding campaign, which precisely matches the needs of this clientele. There’s always something cooking at Nüwiel! Hamburg is a prime location and an optimal entry market for food manufacturers of all kinds. About 10% of the startups in our monitor are marked as pertaining to the food industry, and there are always more. 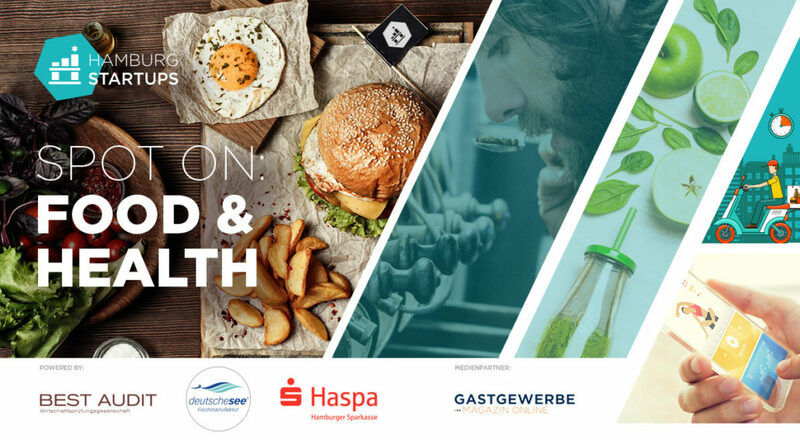 The Hamburg Startup Ecosystem has at least over 100 food, beverage, or food-tech startups. Clearly a major topic! Therefore, our editors and our event management team will focus on the subject of food in the coming months with “Spot on: Food&Health Edition.”So stay tuned!